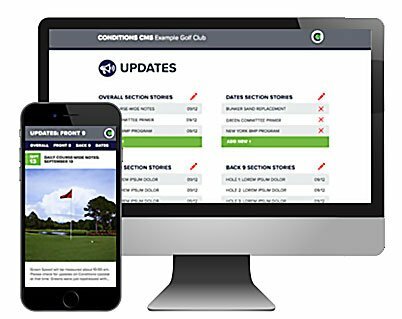 Playbooks for Golf launched Conditions, a new software platform designed to help superintendents do their jobs faster and more efficiently than ever. The easy-to-use mobile app is the culmination of 20 years of work for those seeking better communications, and was released after 18 months of beta testing at golf facilities nationwide, says Playbooks co-founder Matt Leverich. It easily integrates third-party software to communicate critical course conditions faster and more efficiently with other departments and golf facility staff. Using Conditions is as simple as writing a blog post or tweet, and it allows the superintendent to update course conditions in real time, making it accessible to golfers and facility staff. "The problem with all current forms of communication is that they require the golfer to visit them on their own or filtered through a social feed with all kinds of distractions," Leverich said. "With Conditions, we take the critical course information straight to golfers' phones where they can easily see the entire operation, and get alerts via push notifications, in a great app format. Plus checking Conditions becomes part of their routine just like checking other critical apps." It can work seamlessly with any clubhouse app, while still allowing the superintendent the ability to send alerts to golfers only, and it promises to increase member satisfaction, save superintendents time — and minimize negative feedback for factors beyond their control by addressing misunderstandings or misperceptions that arise when members and staff don't have the information necessary to understand the "what" and "why" of course conditions. "As a former superintendent, I know how challenging it can be to get the right information to the right people at the right time," says Playbooks co-owner Greg Wojick. "We try everything to keep the right people informed — Twitter, Facebook, email, and even Instagram. But we can never be sure the message gets through. Conditions renders these and other forms of communication obsolete by making it possible for superintendents to share real-time course conditions and project updates at any time — quickly and easily." Playbooks also works with ezLocator to integrate daily hole locations from that platform, for both ezLocator and ezPins clients. 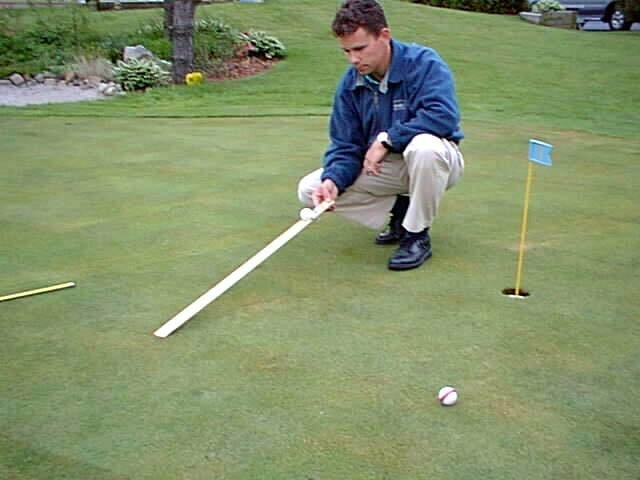 This allows golfers to only need one app for both Pins and course conditioning information. Houston Country Club was among the Conditions test sites, and it helped superintendent Billy Weeks communicate course conditions regularly with players and golf facility staff. "Our membership loves it," Weeks said. For a demonstration of Conditions, visit goplaybooks.com.